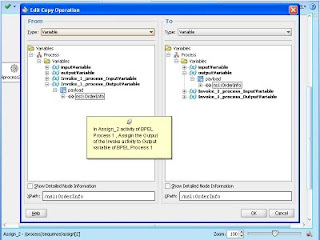 Applications and Integration Blog: BPEL to BPEL Synchronous Interaction. 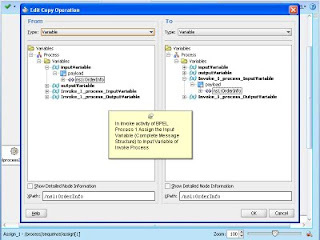 BPEL to BPEL Synchronous Interaction. 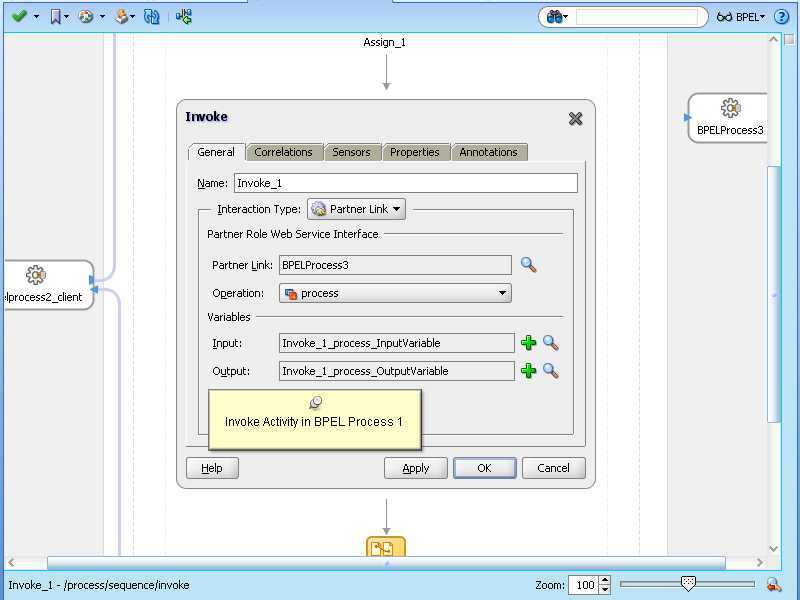 I will explain Interaction between BPEL 2 BPEL Process with simple example. 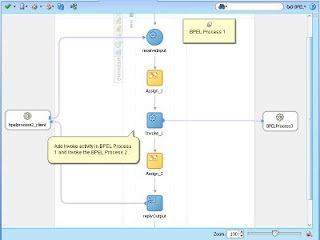 BPEL Process 1 will call BPEL Process 2.Both are Synchronous processess. 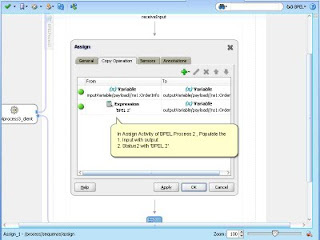 In this example I will use Message Type "OrderInfo" Message Type Element.Please Refer http://eoracleapps.blogspot.com/2009/11/how-to-call-synchronous-bpel-process.html for More Information on "OrderInfo" Message Type. Import theMessage type in your Project and assign that to input and output variable of BPEL Process 1. Design BPEL Process 1 with simple Assign activity b/w input and output variables. 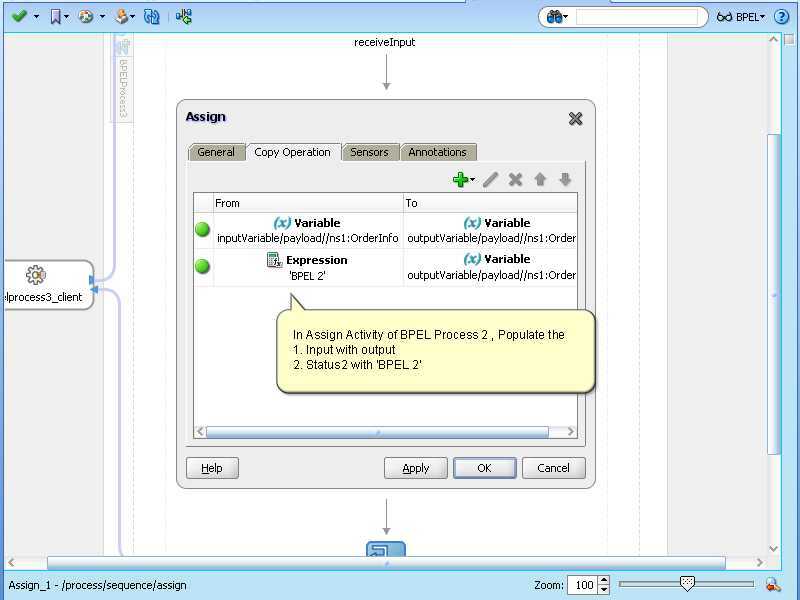 Design BPEL Process 2 , with simple Assign activity b/w input and output variables.Assign the message structure "OrderInfo" to input and output variable of BPEL Process 2. 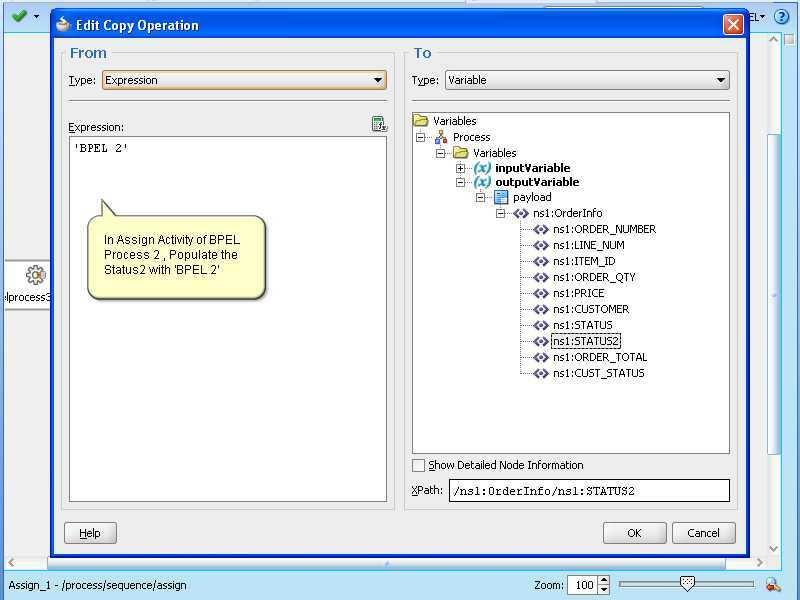 Configure the Assign activity of Process 2 , by Double Click > Copy Operations > Copy i/p to o/p and copy Constant Expression "BPEL 2" to Status2 filed of message structure as shown below. 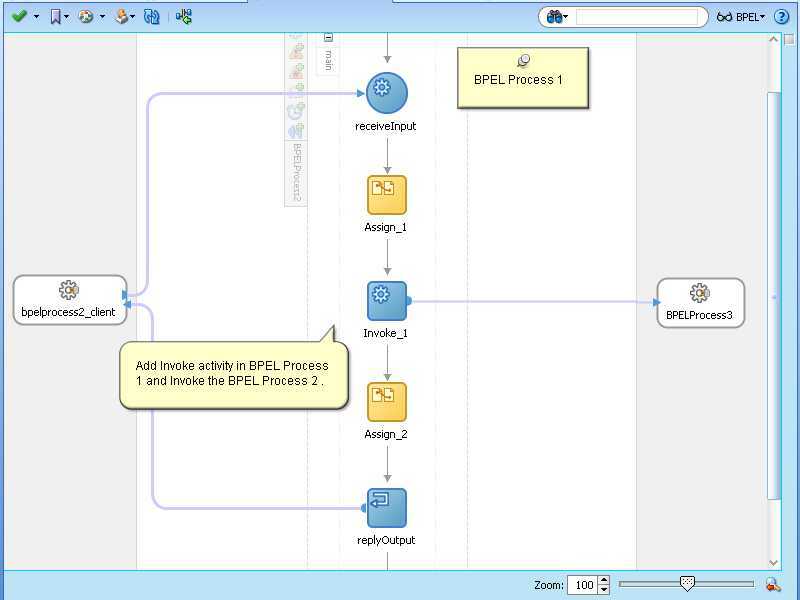 Open the BPEL Process 1 again and add INVOKE actvity in flow to call the BPEL process 2(BPELProcess3). 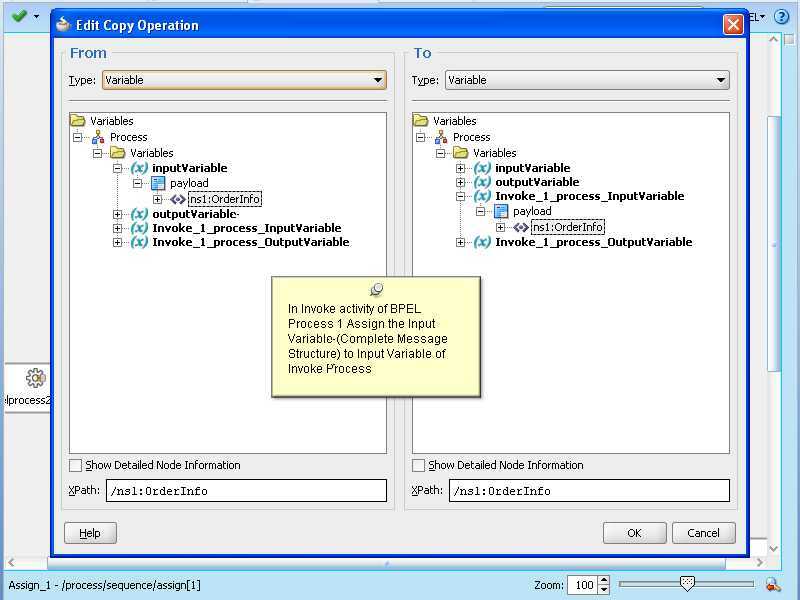 Configure the Invoke activity as shown below. 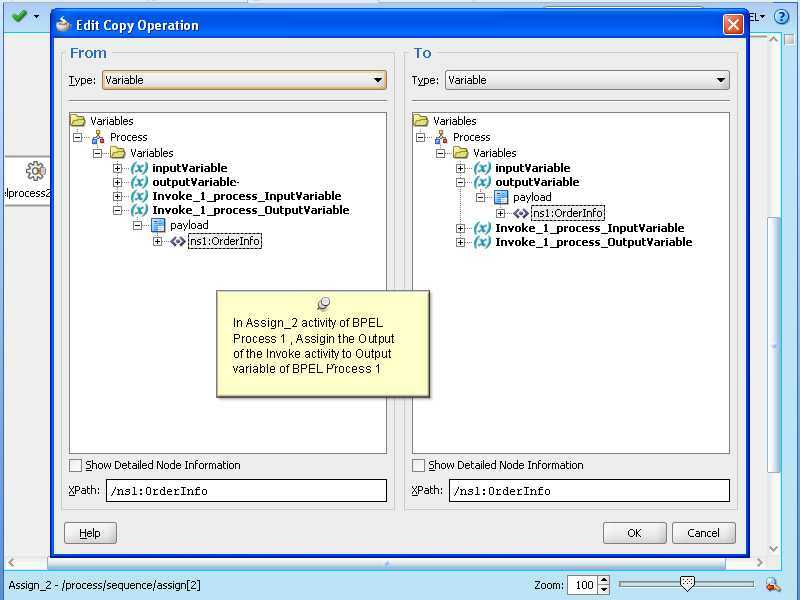 In Assign_1 activity in Process 1 , assign the input variable to input of the invoke activity as shown below. 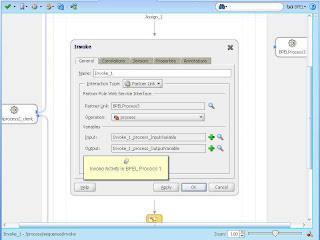 Add another Assign activity in Process 1 , right below the invoke actity and assign the outcome of the invoke activity to output of BPEL Process. Compile your Project and Deploy. 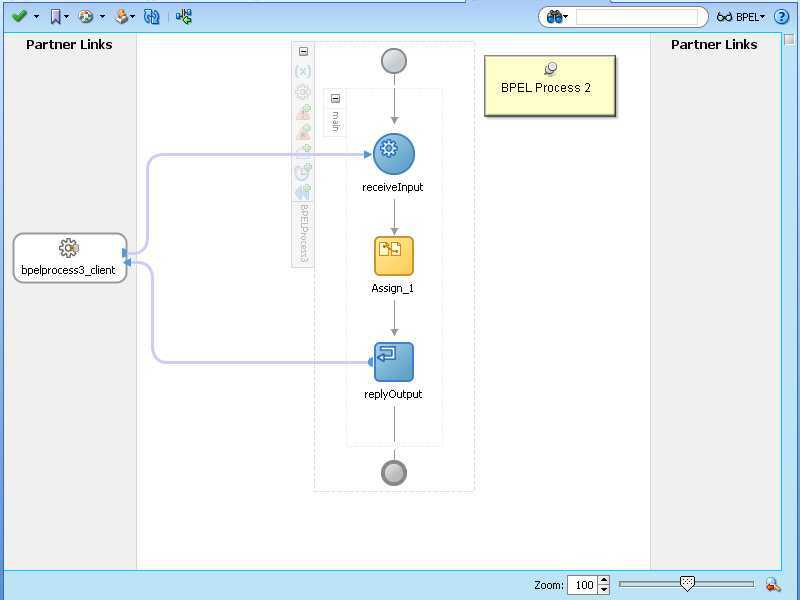 Testing - Run the BPEL Process and add the Input data ( Based on Order Info Element).